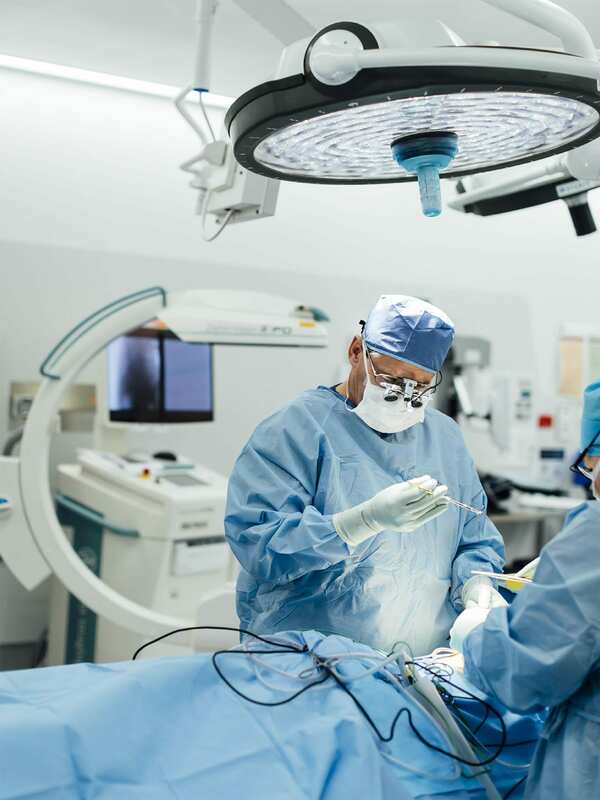 When Timothy Steel, both a neurosurgeon and a spine surgeon, began his career 20 years ago, spine operations were risky procedures followed by intensive care. To expose the vertebral body, large amounts of muscle and tissue were removed. 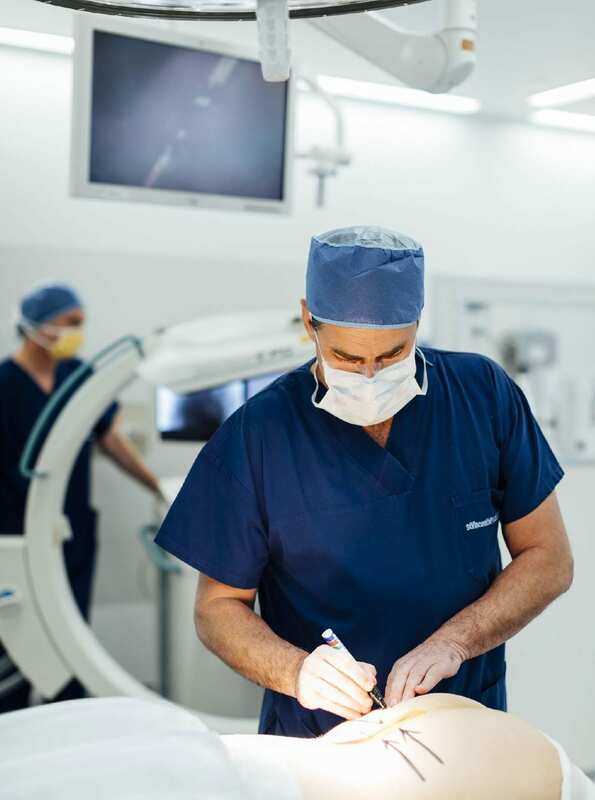 Today, Dr Steel carries out such operations at St. Vincent’s Hospital in Sydney with a minimally invasive technique. Modern medical technology helps him reach his highest goal: maximum precision in every procedure. In terms of area, Australia is nearly as large as the United States of America. The two healthcare systems are also very similar. In contrast to other countries, surgeons in the USA and Australia are classified based on their surgical success. For Australian physicians, excellence is rewarded and errors are punished. Those who are negligent in the OR and overlook details lose their patients or do not have many in the first place. 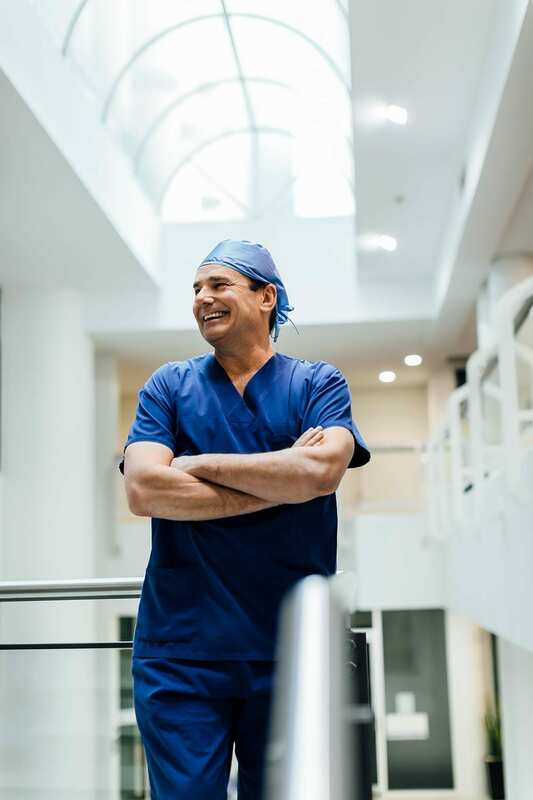 This system rewards passionate and ambitious surgeons. 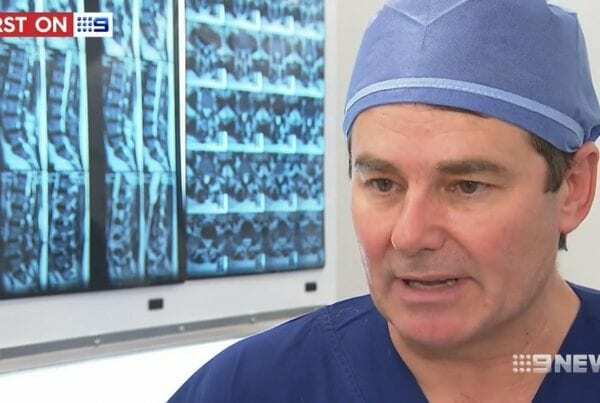 Neuro and spine surgeon Timothy Steel of St. Vincent’s Hospital is one of them. After he completed his studies in Australia, he worked in various university hospitals in the USA and Great Britain and became familiar with different health care systems. Now he has been working at St. Vincent’s Hospital for more than 20 years. The hospital, founded in 1857, is one of the oldest in Sydney. Located in the red light district near the harbour, it was primarily a hospital for the city’s poor. To ensure care for the less privileged, a private hospital was built next to the public one. Together, both institutions now serve the eastern part of Sydney and its suburbs. The types of patients and national reputation of the hospital have changed dramatically since then. Wealthy residents of Sydney’s coastal region around Bondi Beach are treated here; people from other areas of the country come here for the renowned physicians. For Timothy Steel, patients even fly in from overseas. At St. Vincent’s Hospital in Sydney, decompressions, or extensions of the spinal canal, are performed to relieve pressure. In spondylodesis or spinal fusion, two vertebral bodies are connected to create stability. Steel has carried out more than 10,000 operations in the last 20 years, nearly all of them are spine cases. He is an expert in his area and well-known internationally. His excellent reputation is due primarily to his love for precision. He calls himself a slow surgeon for whom accuracy is more important than efficiency. Even on long workdays, when Steel completes five operations in a row, he does not hurry. Instead, he is thorough and precisely checks his progress as well as the results of the procedure. “For me, it is more important to work slowly, but accurately, instead of having to explain to the patient after the procedure that he or she will have to undergo another operation because my work was not thorough enough,” says Steel. Assisting physician Dr. Frydenberg is familiar with Timothy Steel’s thorough and accurate approach. The operation is regularly and precisely controlled. 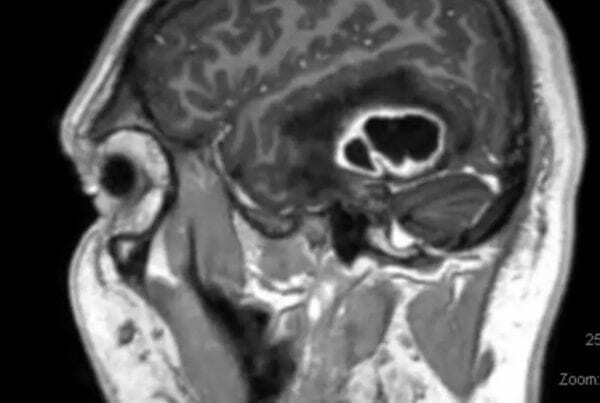 This surgeon wants to operate perfectly in every procedure and intraoperative imaging helps him do so. He uses the Ziehm Vision RFD 3D because its image quality impressed him right from the start. 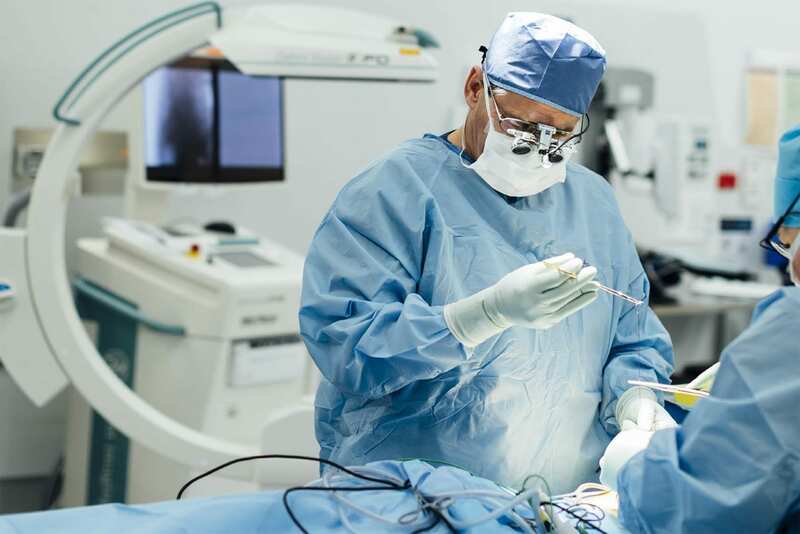 He often operates the C-arm together with his navigation system, which provides a visualization of surgical instruments on the current patient data in real time. The quality of the X-ray images of the C-arm is always the critical factor for this surgeon. The sharper the images and the clearer the bone edges and structures, the more precisely Steel can evaluate his progress. For him, the images of the 3D C-arm come close to those of a CT, but they offer the additional advantage that he can use the mobile C-arm during the operation. The innovative C-arm impressed him, along with the ability to carry out a 3D scan while the patient is still lying on the table. “The C-arm makes it possible for me to do procedures that are faster, safer, and more minimally invasive. You can’t ask for more than that,” says Steel. 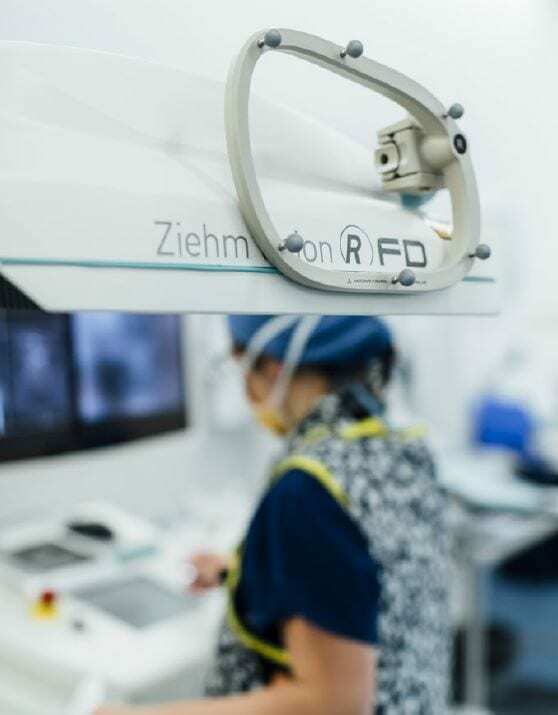 The navigation interface of the Ziehm Vision RFD 3D allows the visualization of surgical instruments, based on the current patient data in real time. The C-arm is used for all spine operations that Steel carries out today. 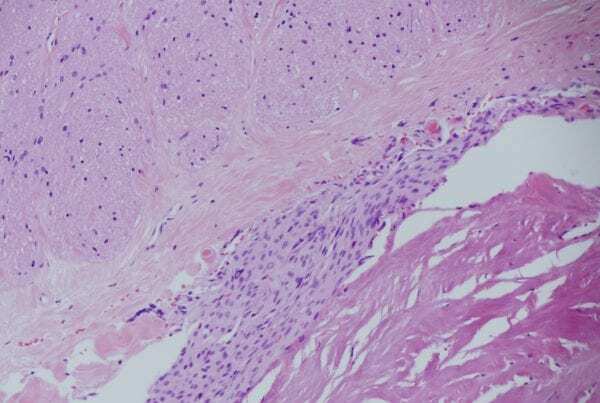 He uses it at the beginning for exact planning, during the operation to check his progress, and at the end of the procedure to examine the results. Whenever Steel is not one-hundred percent sure, he takes another X-ray image or uses intraoperative navigation. 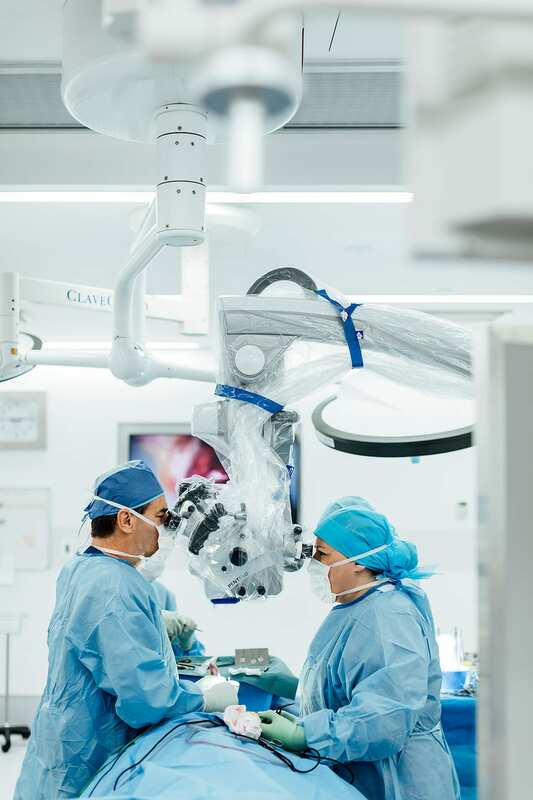 For Steel the combination of mobile 3D imaging and image-guided navigation represents a milestone in medical imaging, which makes it possible for him to meet his high expectations with regard to precision. That wasn’t always the case. Steel still remembers the first spine case from over 20 years ago that he attended as a young doctor in training. “It was a spinal laminectomy in which the surgeon had to expose the spine as they did at that time. He removed a great deal of muscle and tissue in order to see the vertebral body. This image stays with me. For me, until that point, spine surgery had been something wonderful; the truth was a shock to me, completely different than I had expected,” Steel explains. “Today we do minimally invasive procedures with a small incision with which I can still always see right where I am, thanks to intraoperative imaging.” This method of surgery is significantly less invasive; many patients can go home either on the same day as their procedure, or the day after. Thanks to the most advanced medical technology, Timothy Steel can perform operations just as his expectations of perfection dictate: gently, precisely, safely. Above all, for Steel, precision means safety: “Spine interventions are risky procedures by definition, primarily when you operate on the spinal cord. During every surgery, I could irreparably destroy nerve tissue; there is no second chance.” The highly complex procedures can be classified into two types: the decompression, or the extension of the spinal canal to relieve pressure, and the fusion or spondylodesis, the connection of two vertebral bodies for stability. “Basically, I have been doing primarily these two procedures on the spine for more than 20 years. The procedures themselves have not changed up to the present day. We either remove vertebral body parts to eliminate pressure from the nerve or we connect vertebral bodies to stabilize the spine. But the surgical wound is considerably smaller today and we hardly need to remove any tissue. In this way, a risky procedure with subsequent intensive care and a protracted healing process has become a 60 to 90-minute operation after which the patient can go home on the same day,” says Steel.